Join the "Now What? Hookup!" So you launched your business. Your website is live. You've set up your social media profiles - all things you're "supposed" to do. The phone isn't ringing. Your inbox is empty. And you're thinking, ".... now what?" It can be disheartening to launch a biz and invest in a website, then to feel stuck, not knowing what to do next. Luckily, my friend Mariah and I have you covered. Our new Facebook group, "The Now What? Hookup," is designed for entrepreneurs like you. 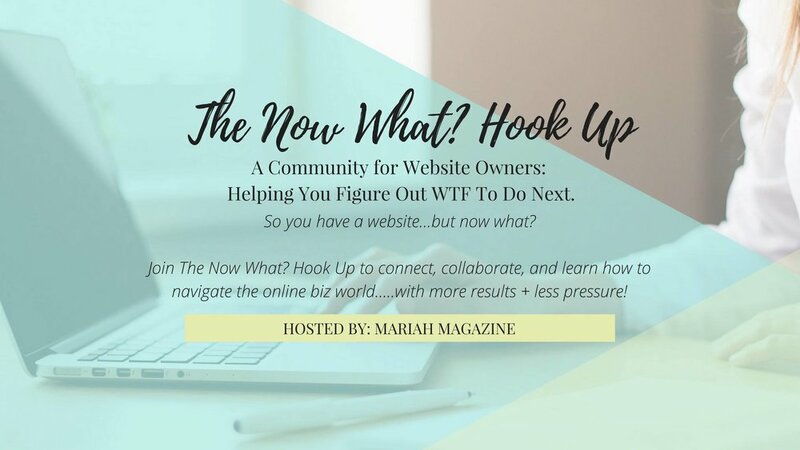 We're talking webinars, challenges, and more to help you figure out how and when to update it with fresh content, make sure your SEO game is on point, and strategize about how to convert those leads.